The 506th Habitat home in underway! 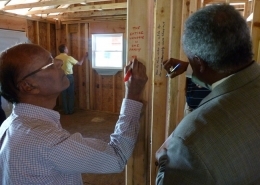 This home is being built for Alexis G. and her daughter, Aubree. With the hope to dedicate this home in June 2019, Habitat volunteers will be working hard on the build sites. 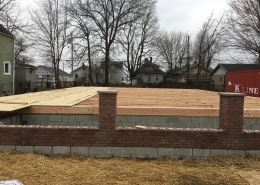 The Habitat Methodist Build is a collective of multiple Methodist churches in Evansville and Mt. Vernon that come together to sponsor a home for a Habitat family. Charles and Patricia Robertson have generously sponsored the home of Chanel. 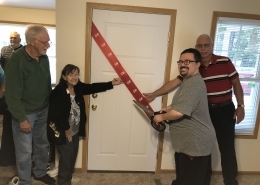 Because of wonderful people in our community like the Robertsons, Habitat can continue to meet the need for affordable housing by building homes. Thank you, Charles and Patricia, for your kindness and generosity! Evansville Teachers Federal Credit Union is excited to fully sponsor their second Habitat home for E'Lexis L.! 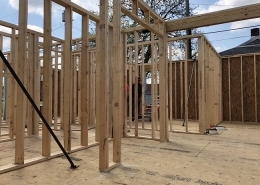 ETFCU will be heavily involved from start to finish, including volunteering on build sites, connecting with E'Lexis, raising awareness for Habitat, and much more. Thank you ETFCU! 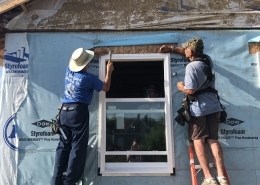 Lutherans for Habitat is an organization of committed individuals representing both Evangelical Lutheran Church in America (ELCA) and Missouri Synod (LCMS) congregations in Evansville. 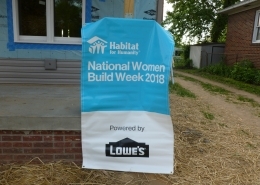 They have been a valued, long-time partner with Habitat for Humanity of Evansville and are proud to sponsor the 29th Lutherans for Habitat home with new homeowner Tiffany S.
Habitat’s National Women Build program recruits, educates, and inspires women to build and advocate for simple, decent, and affordable houses in their communities.